Another year, another September event, another iPhone. Apple’s key event met all the criteria, although the lack of MacBook, iPad, and “one more thing” segment might have upset some fans that were hoping for surprises. 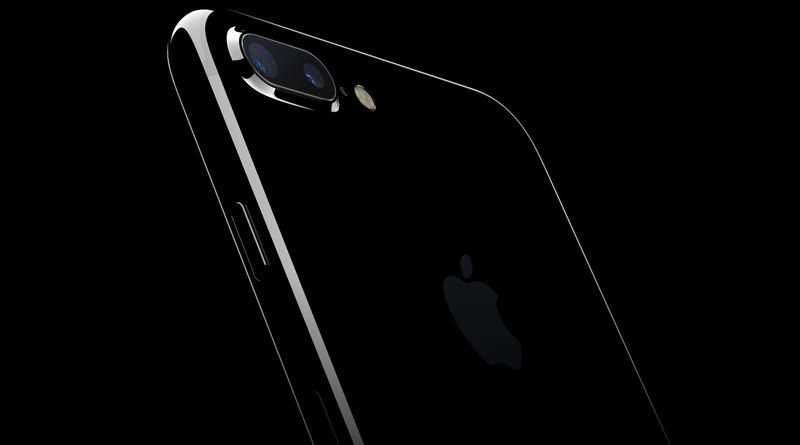 The iPhone 7 and iPhone 7 Plus were unveiled at the event, with a slight design tweak, upgrade to the camera, and internal boost. Starting with the design, Apple announced two new color options, jet black and ‘black’, which replace space grey. Jet black is the only glossy finish out of the options, which also include rose gold, gold, and silver. Apart from that, the design changes are very minimal. The camera lens is bigger (dual-lens on 7 Plus) and the antenna lines have been moved to the top and bottom of the device. Speakers are now located on the top of the device, as well as the bottom, for a “stereo” experience. The Home button click has been removed from the iPhone 7, replaced with taptic feedback. Apple has also added IP67 water and dust resistance to the smartphone—finally. The iPhone 7 and 7 Plus will come in 32GB, 128GB, and 256GB storage options. Jet black and black will only be available in 128GB and 256GB configurations. Cameras are the major upgrade on the iPhone 7 and 7 Plus. Both receive a new 7MP FaceTime camera and a higher aperture lens on the rear. On the 7 Plus, Apple has added a dual-lens, which provides two times optical hardware zoom and 10 times software zoom. Internally, the A10 fusion powers the iPhone 7 and 7 Plus. The chip is 40 percent faster and 50 percent faster in the graphics department. Apple also promised one hour of extra battery life, compared to the previous iPhones. Apple removed the headphone jack on the iPhone 7 and 7 Plus, as rumors had suggested for months. There’s been ferocious debate over the headphone jack online, but Phil Schiller ultimately put it down to bravery and progress. Apple will bundle a pair of lightning connector earpods for iPhone 7 and 7 Plus customers, alongside a lightning to 3.5mm jack adapter. Apple also showed what it hopes to be the future of audio: wireless. The new wireless earpods use a homebrew wireless solution, hopefully better than Bluetooth, to keep a stable connection. The wireless earpods cost $170. Users will be able to talk to Siri and answer calls through the earpods, but fitness tracking, which Bragi Dash or Samsung’s Gear IconX wireless earphones provide, will not be available. Beats Electronics have launched three new wireless headphones to go alongside Apple’s first venture. 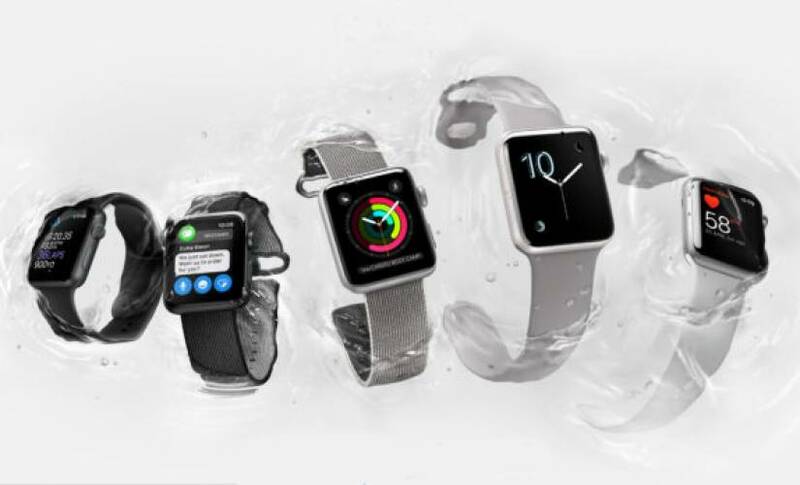 Its been two years since the original Apple Watch launched, to mixed reviews from critics and consumers. Some of the complaints were fixed with the announcement of Watch OS 3.0, which goes live later this year, but others have been mended with Series 2. Internally, the new Apple Watch comes with a dual-core processor that offers 50 percent higher performance than the original. The display is also 50 percent brighter and higher resolution. Apple has added built-in GPS, which gives hikers and runners the ability to monitor location without a connected smartphone. The new Watch is also waterproof for up to 50 meters, great news for swimmers. An LTE version was not announced at the event. Rumors suggest Apple is worried about battery life, if it added an LTE chip. Nike unveiled its own Apple Watch at the event, using the familiar Nike+ design aesthetic. It is supposedly perfect for runners and workout junkies. 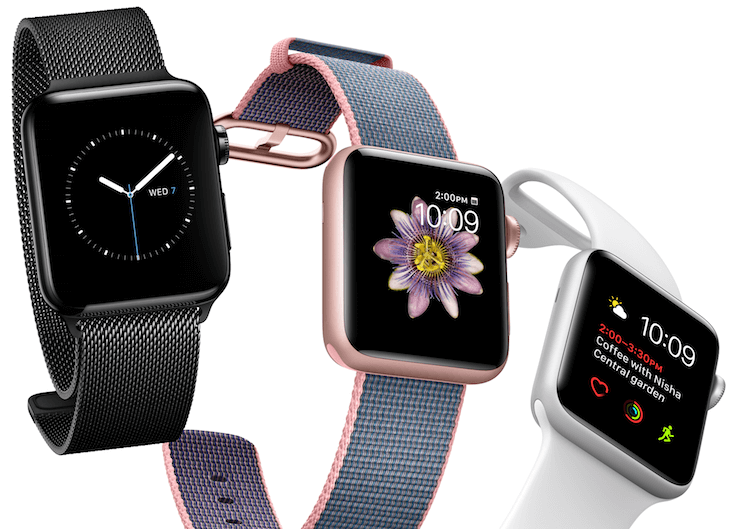 The original Apple Watch will receive the dual-core processor upgrade and start at $270. 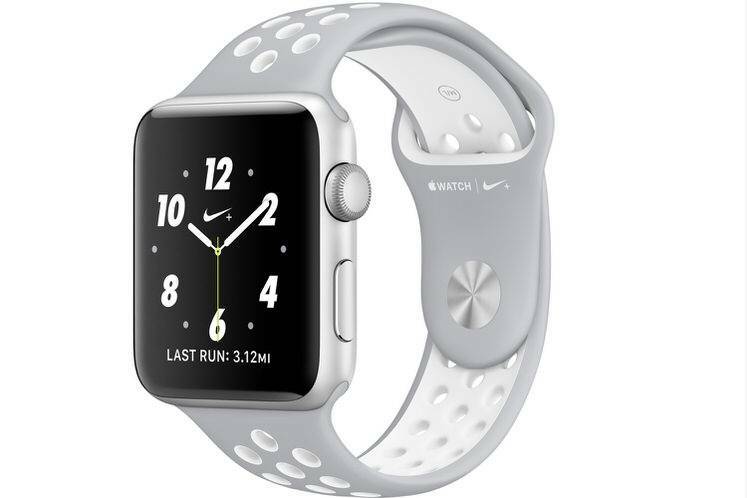 Series 2 will start at $370, as will the Nike+ edition. It announced a new ceramic version, which will cost more, and the Watch Edition has also been updated.